We were privileged to be asked to play for the Mayor of Chichester’s fund raising barn dance last week. 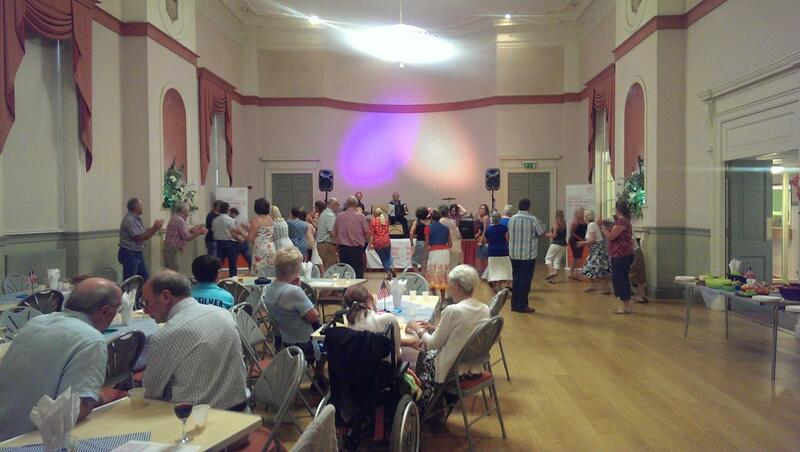 In the beautiful assembly rooms in Chichester – great dance floor and air conditioned on the hot summers evening. The dancing was led by Barbara with Mike, Luke and Stephen in the band. The Great Barn at Titchfield was the venue for a wedding and barn dance. It was great to part of Graham and Gaelle’s special day, and they were blessed with a lovely summers day. 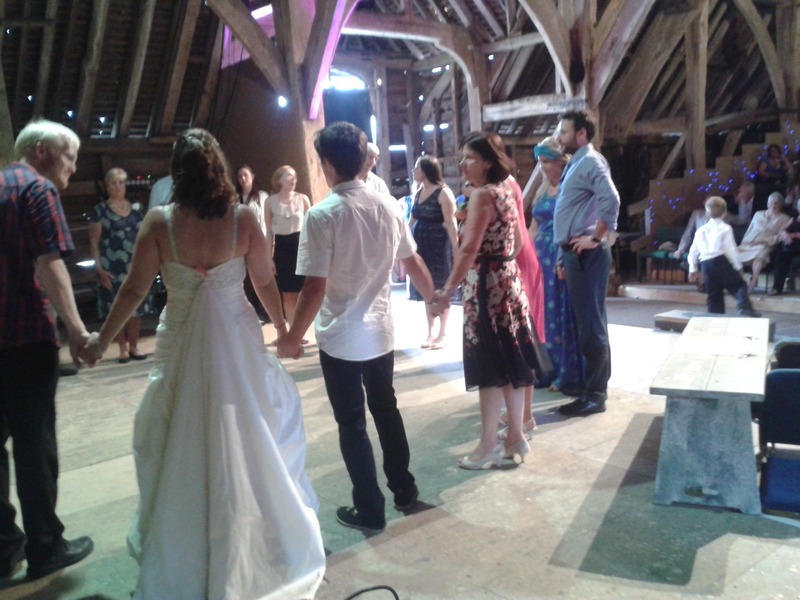 The Great Barn is home to the Titchfield Festival Theatre, but is also available for wedding receptions. Customer feedback on Facebook ……………….. The great Hall at The Abbey at Sutton Courtney, Abingdon was the slendid venue for Adam & Emily’s wedding on 12/7/14. 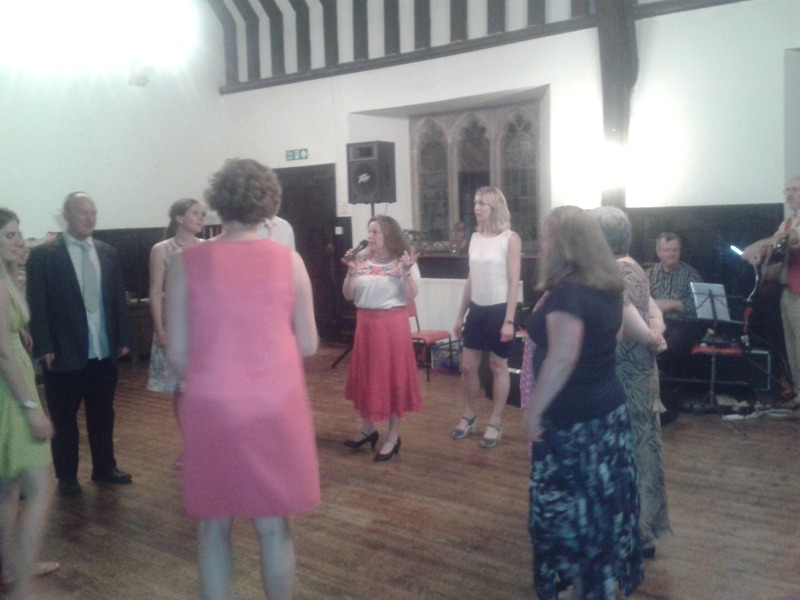 A lovely summers evening and plenty of dancers from 9 to 90 made for some great dancing. A barn dance social evening saying goodbye to several staff from Prince’s Mead School. 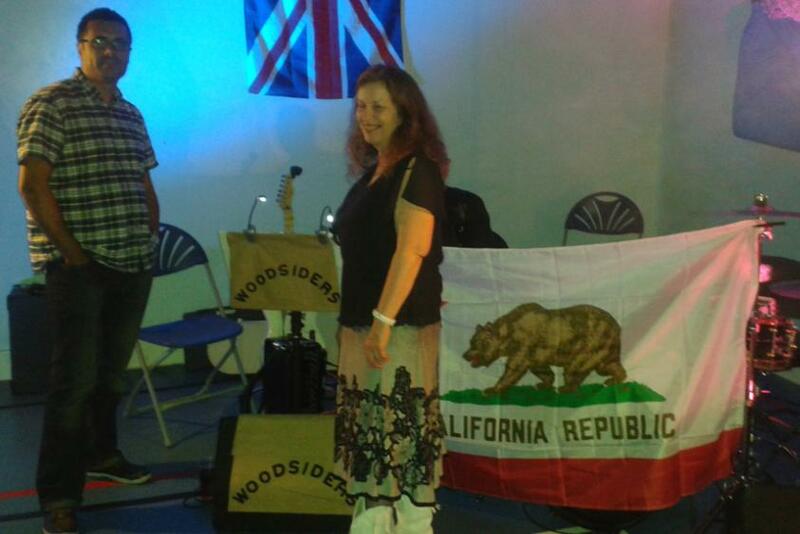 The school sports hall had been decorated for a C&W themed barn dance and Barbara was able to bring our her Californian flag………….. Thanks for an excellent evening last night – I was bit worried we needed more people but it worked out just fine, so much so I have been asked by the headmistress to sort out a similar thing for our parent teacher do we have. I will be in touch in the future re that do. A great evening at the White Hart Penton Mewsey for their themed food evening and barn dance. Great to having willing dancers joining in – a memorable evening – it was also the Brasil v Germany world cup match evening to – 3 goals during one dance! Thanks Mark and Ellie for doing all the furniture moving to give us a dance floor.